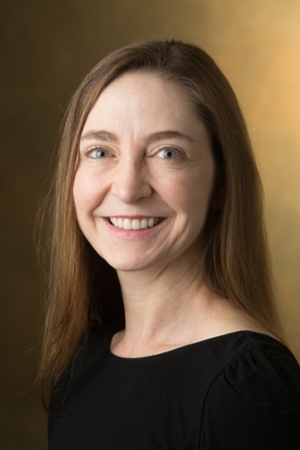 Southern Illinois University Edwardsville’s Greg Budzban, PhD, dean of the College of Arts and Sciences (CAS), has selected Jennifer Rehg, PhD, as associate dean of instruction, faculty development and academic programs. She assumes her new responsibilities on July 1, 2018. Rehg is currently a professor in and chair of the Department of Anthropology. She joined the anthropology faculty initially in 2003 as a lecturer. She became an assistant professor in fall 2004, was elected department chair in 2012 and re-elected in 2015. “I am excited about the opportunity to work with more people across the College of Arts and Sciences and learning more about our diverse academic programs from a different viewpoint,” Rehg said. “The College is full of skilled, experienced and dedicated people, who give much of themselves to the University, the broader community and especially our students. Seeing those efforts and the positive impacts is both humbling and inspirational. Rehg’s main research interest is primate behavior and ecology. She is a member of the American Association of Physical Anthropology, the International Primatological Society, the American Society of Primatologists and the Animal Behavior Society. A St. Louis native, Rehg earned a bachelor’s in anthropology in 1995 at Washington University in St. Louis and achieved both a master’s and a doctorate in biological anthropology at the University of Illinois in 1999 and 2003, respectively. Photo: Jennifer Rehg, associate dean of instruction, faculty development and academic programs in the SIUE College of Arts and Sciences.